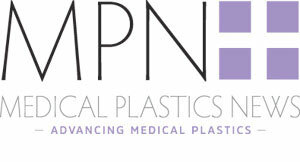 Polymer specialist PolyOne is featuring its “more than materials” approach at MD&M West, as well as highlighting its portfolio of polymers, functional additives, and colourants for the healthcare industry. An example is PolyOne recently worked with Dexcom to provide material and colorant solutions for their latest product, the Dexcom G6 Continuous Glucose Monitoring (CGM) System. This project combined PolyOne’s strengths and expertise – distributed medical-grade materials, FDA-compliant colorants, pre-coloured medical grade polymers, and design and processing support – to create colour consistency and accelerated product development for the Dexcom G6 CGM.